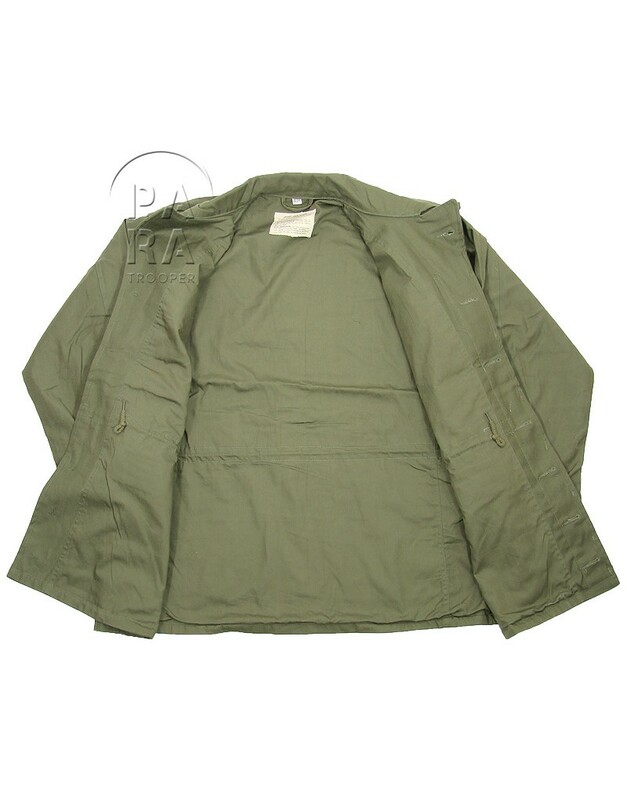 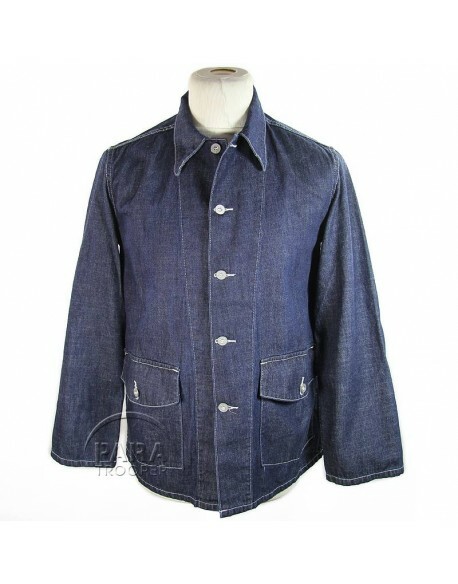 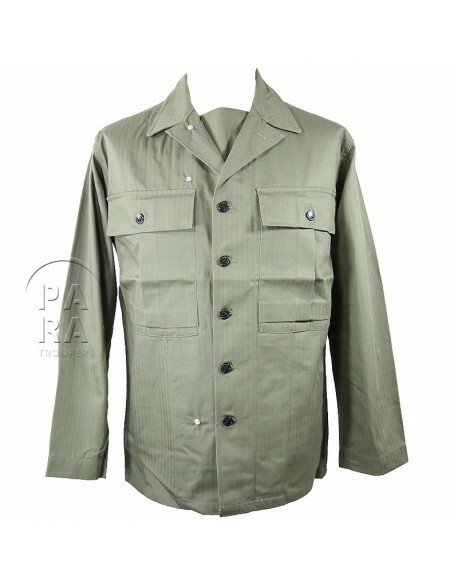 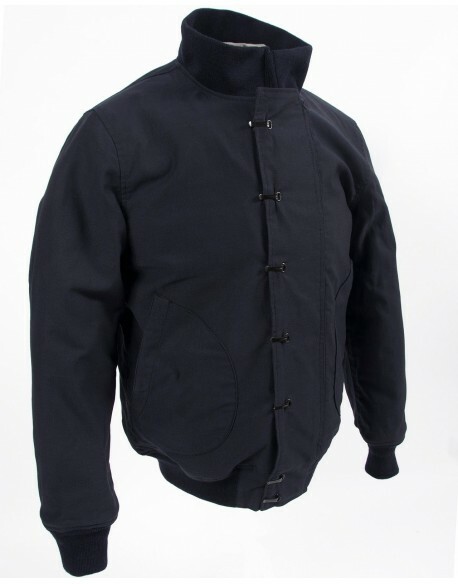 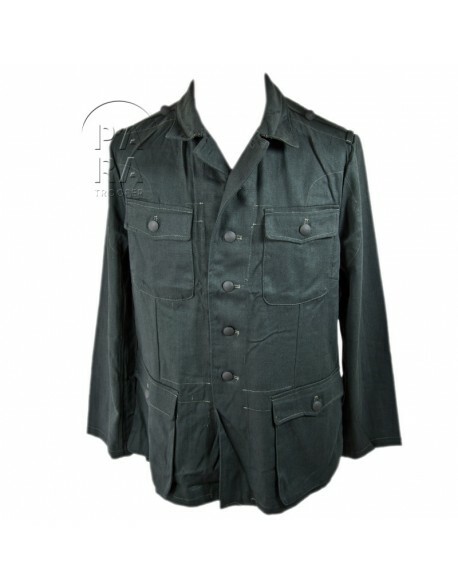 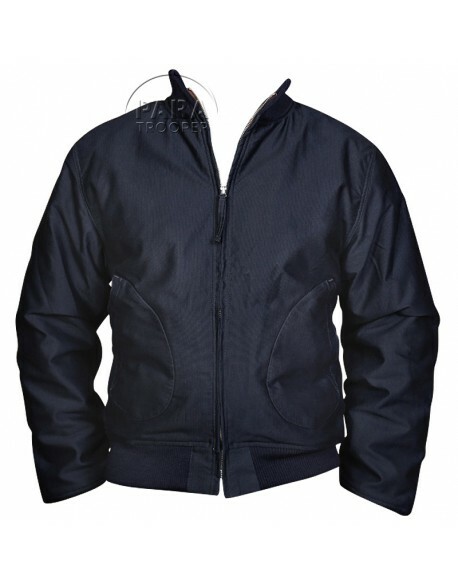 Jacket, Field, M-1943, made of A cotton sateen four-pockets jacket. 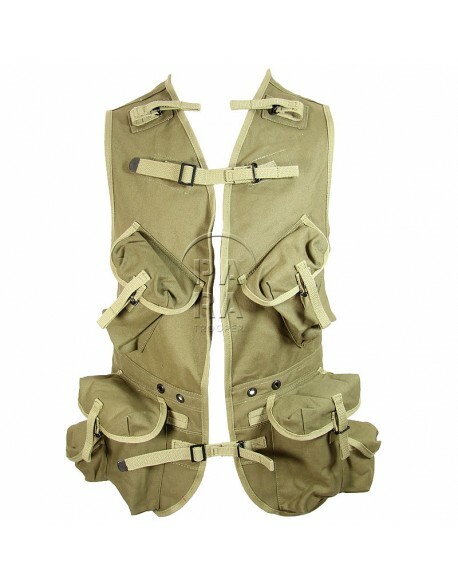 Fly fronted, closure by 7 brown plastic buttons. 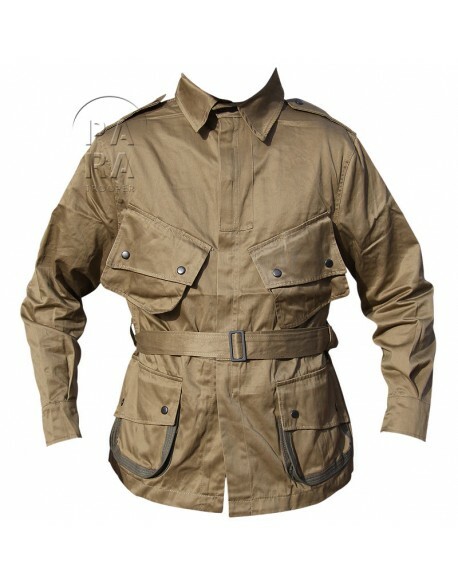 Gusseted sleeve cuffs. 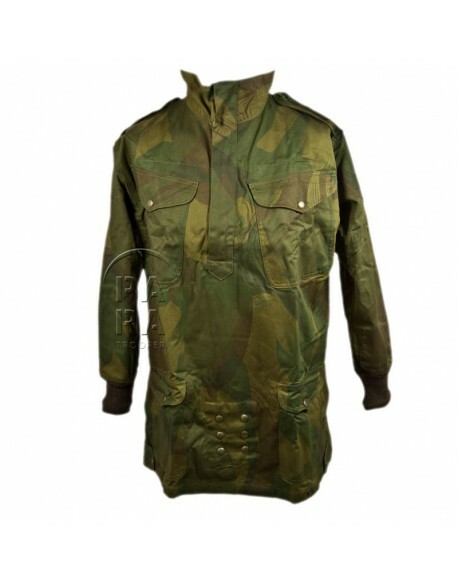 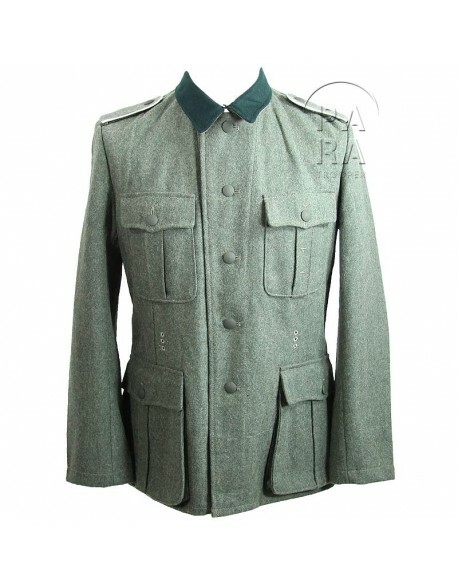 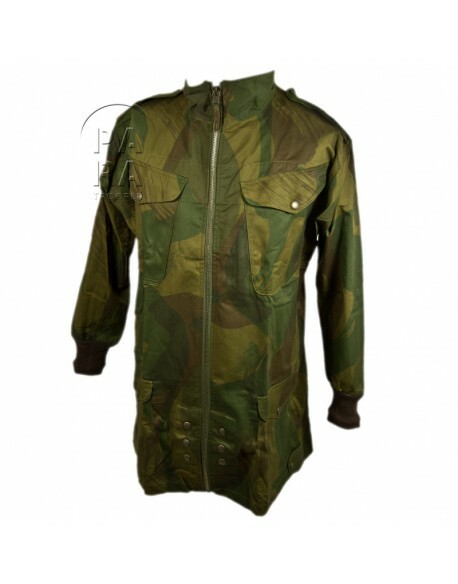 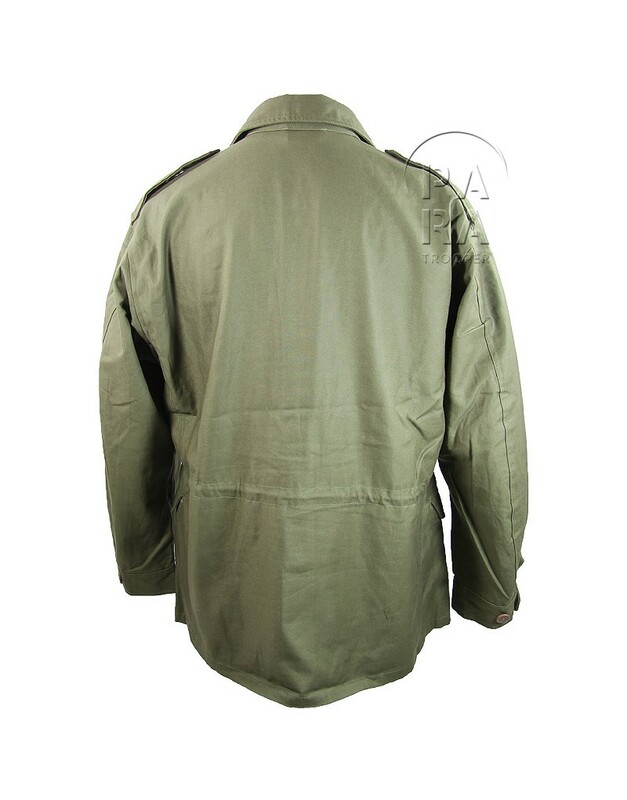 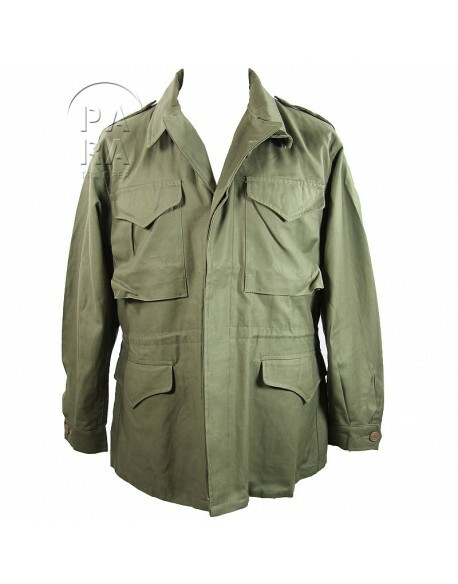 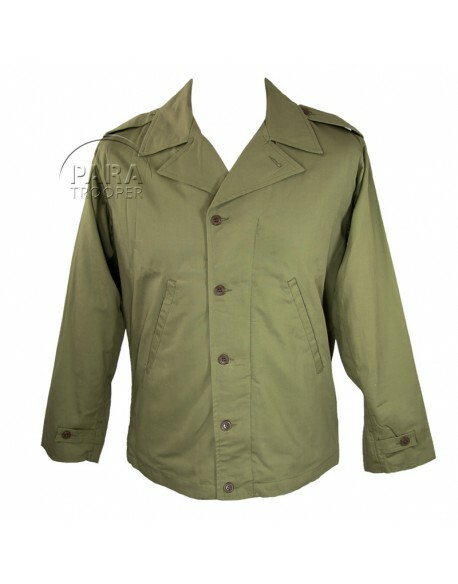 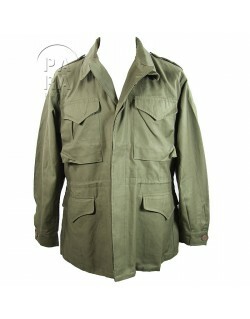 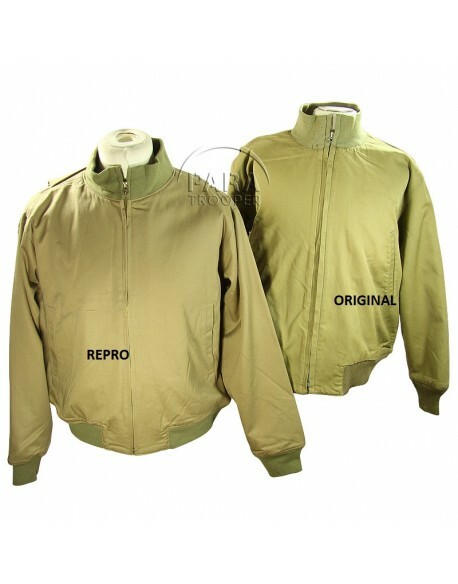 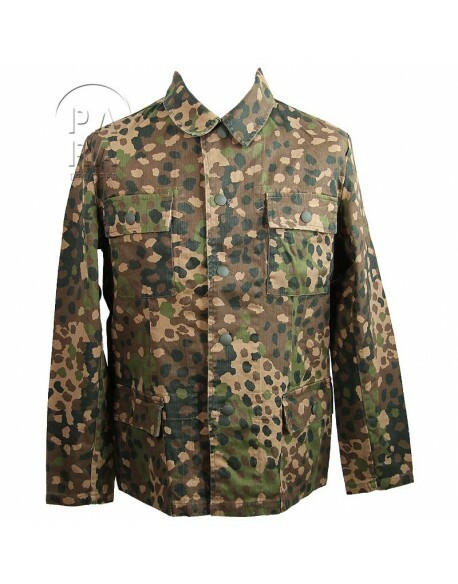 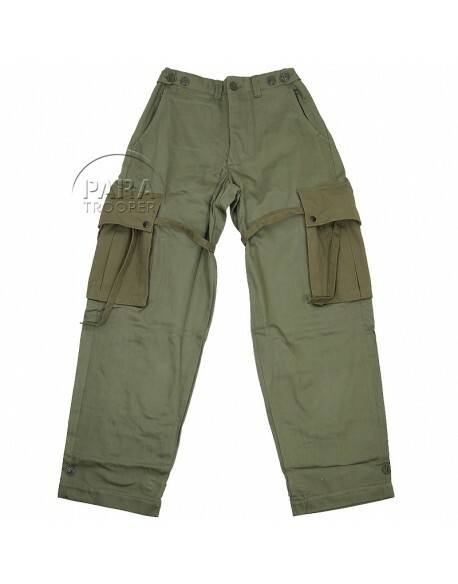 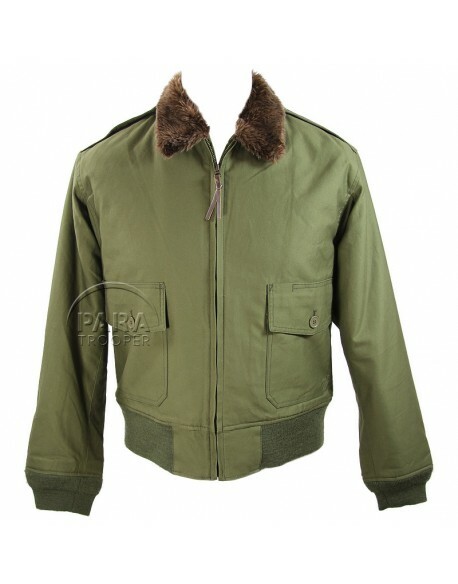 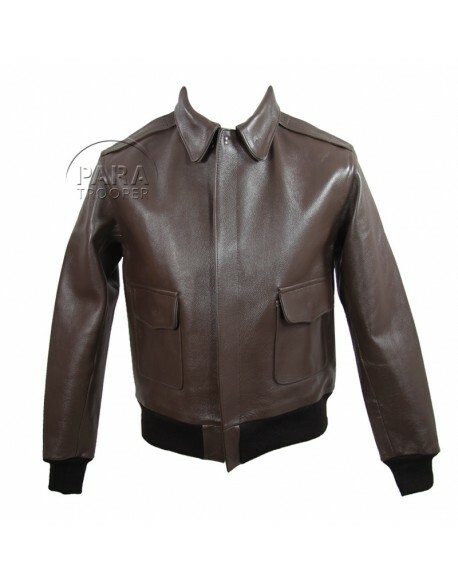 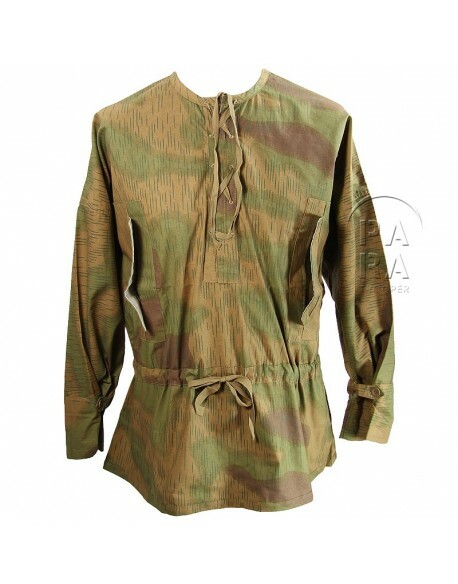 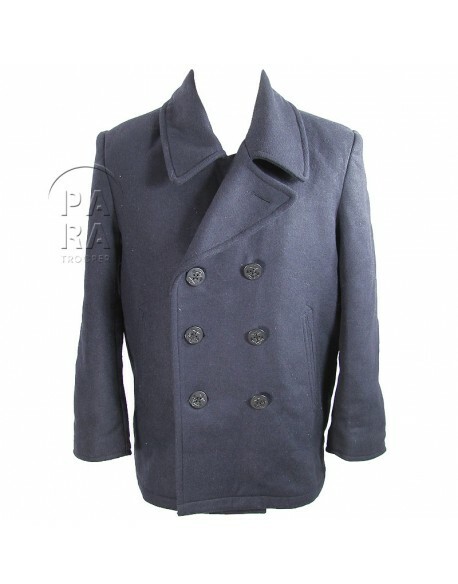 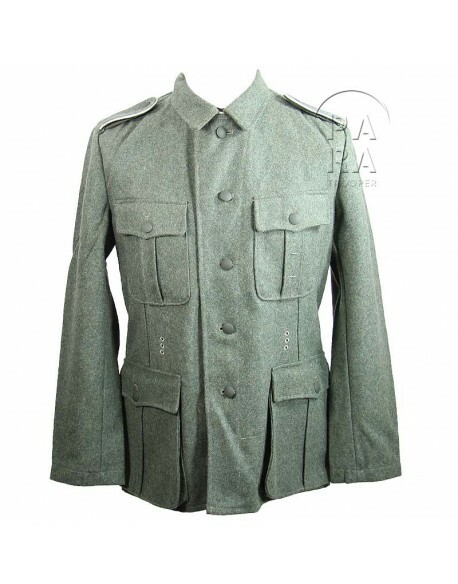 The new jacket was first issued in quantity in the ETO late in September 1944. 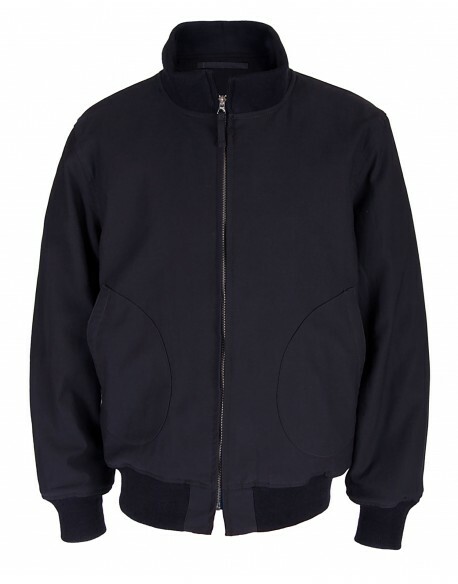 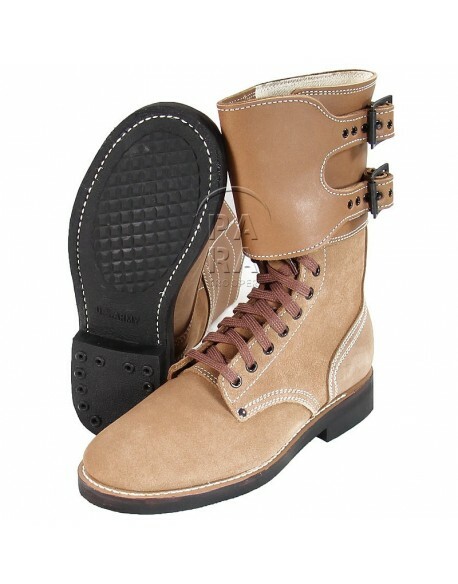 US sizes.